Alfa Development’s Village Green West development kicked off sales last month, and now the full official site is up. 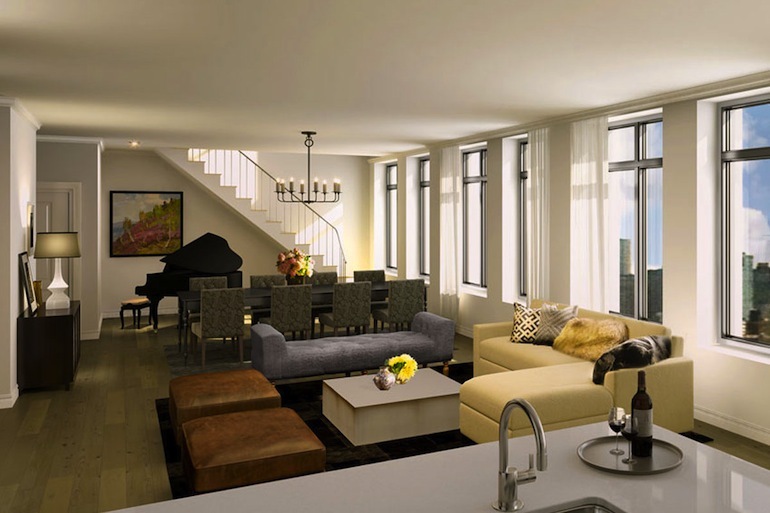 The 245 West 14th Street building by Kutnicki Bernstein Architects offers 27 one- to four-bedroom condos, including four full-floor penthouses. 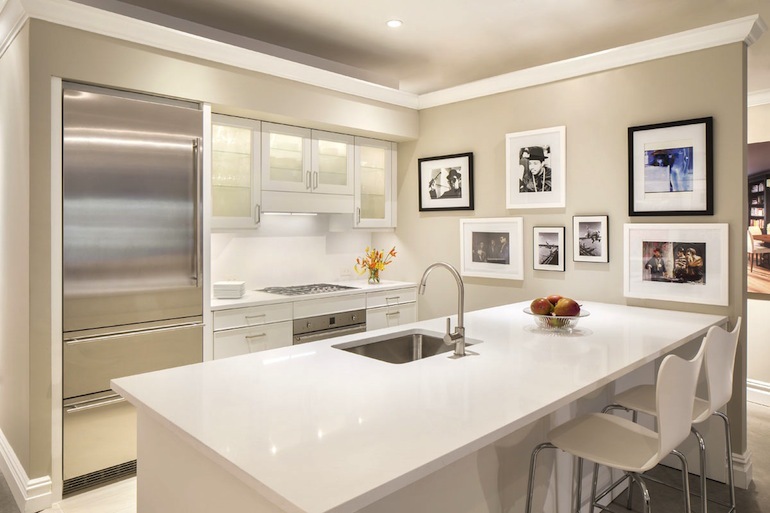 Pricing starts at $1.36 million for a one-bedroom measuring 644 square feet. Residences have 7″ wide plank oak floors, central heating and cooling systems by Daikin, filtered air and drinking water, wind-generated electricity, LED lighting, in-unit washer/dryer and kitchens with white Caesarstone countertops and Energy Star rated appliances. The master bathrooms are awash (see what we did there?) 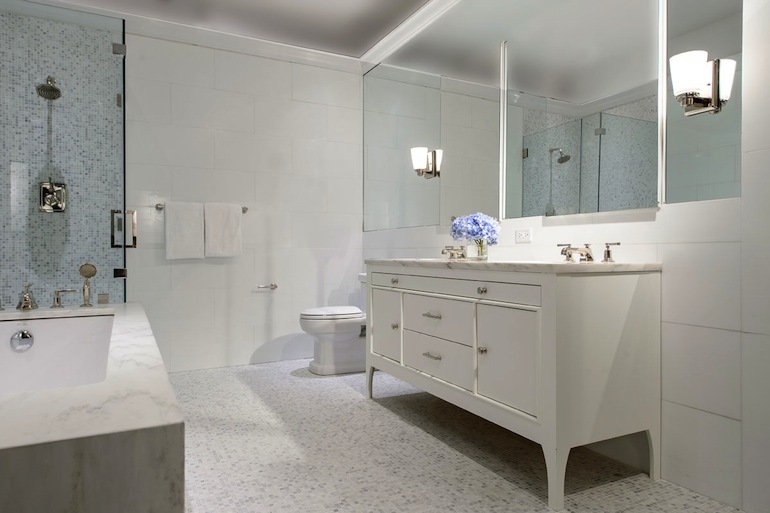 in stone and glass, with radiant heated marble mosaic floors, glass-enclosed showers and marble tubs. 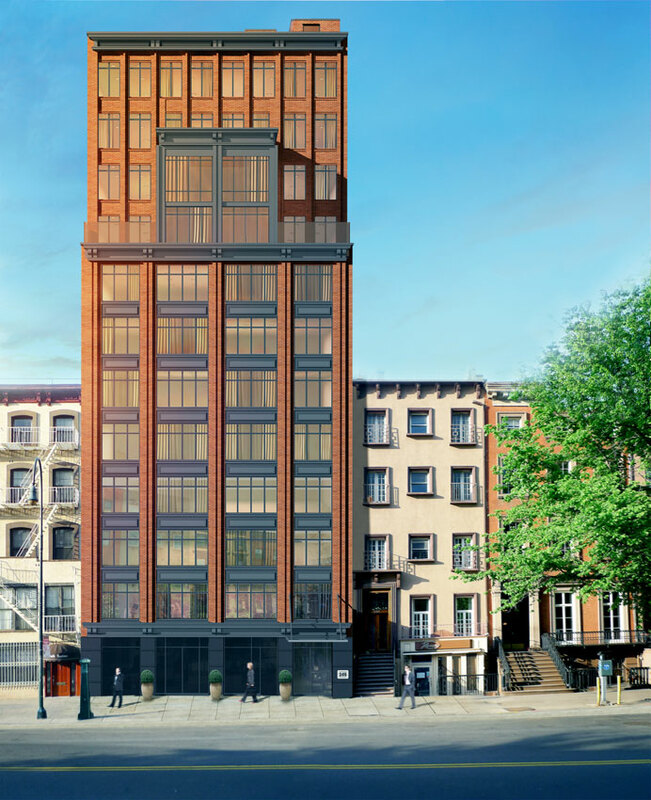 According to the official site, the 12th-floor penthouse has “50 linear feet of living space with expansive north and south views.” The residence also enjoys keyed elevator entry, approximately 1,100 square feet of private outdoor space and a full-height, 143-bottle Liebherr wine refrigerator. Bottoms up! Amenities include a 24-hour attended lobby, concierge, landscaped rooftop lounge, attended gym, spa facilities with sauna, treatment room and shower, lounge with billiards and coffee bar, bicycle storage and private storage. Corcoran Sunshine is marketing the property, which is seeking LEED Gold Certification.